Can’t choose between gold or silver? 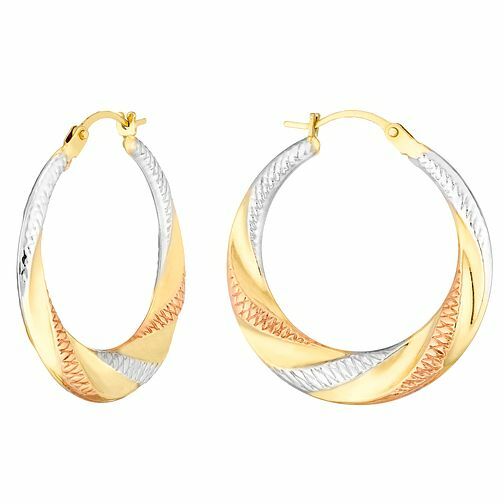 Why not have both fabulously interweaved into a pair of polished three tone creole hoop earrings? Perfect for day to night dressing, all of your ‘gold or silver’ dilemmas have been solved.